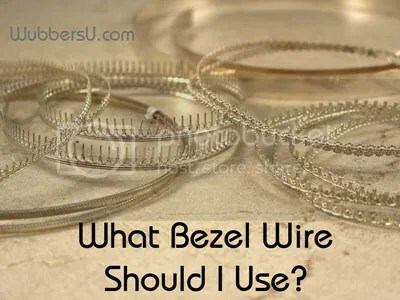 A: Monica—Let me answer some of your questions about bezel wire. Fine silver (.999) bezel wire comes in a variety of forms, from flat bezel, to scalloped-topped, serrated-topped (serrated is the favored bezel of traditional Native American jewelers) and on to a very fancy galley bezel, which looks like miniature crowns (see below). Gallery bezel is gorgeous, but a bit more difficult to use because the tiny tips will often melt quickly. It adds a lot of elegance to a piece. This bezel wire can be found at one of my favorite places to visit, Sante Fe Jewelers Supply. Most bezel wire is between 28-30 gauge thickness, though you can get it up to 22 gauge in thickness, but that is only for straight bezel wire. Bezel wire is made of fine silver because it is a softer metal and is much easier to push over the stone than sterling. If using gold, 22K is the easiest to use because it will bend over beautifully. Trust me, 14k gold bezel wire can be a bear to work with, it’s so springy, even after being annealed. Very well annealed thin copper and brass/bronze strips can be used as bezel wire if you need a color match. They are not always easy to find, and you may have to make your own. Remember that copper and brass/bronze can be very nasty to work with because of they rapidly oxidize when heated. They can all be soldered with silver solder. All of these should be 30-28 gauge in thickness. The only difference in using different thicknesses would be the look you want. If properly set, all will do a great job at holding in your cabochon. That being said, lots of people, myself included, set fine silver bezels onto copper or brass backplates. The look is very acceptable. TIP: If you do not like the look of silver solder or a silver bezel and want to use copper, copper solder is difficult to work with. So to avoid a huge hassle, make a silver bezel, solder and lay down your bezel onto a copper back plate, using silver solder. 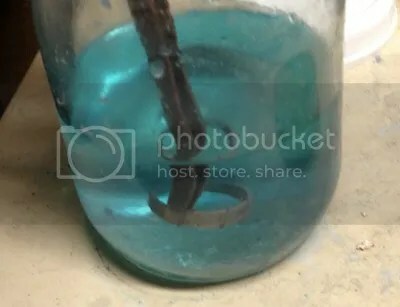 After everything is done, put some old bluish-green pickle into a glass container, add a piece of iron or steel (not stainless) and drop your piece into the solution. It will all copperplate and cover up any silver showing. Most plain bezel will range in size from a width (meaning the height from top to bottom of the bezel wire) of 2.38mm up to 4.76mm. If the height is too high for the stone, the bezel will cover too much of the stone, and will wrinkle and fold when you try to push the bezel around the stone. If your bezel is too high, meaning your stone is too low in the bezel once it is soldered onto a back plate, you may want to put either a small piece of metal or plastic under the stone to raise it. Native American jewelers have traditionally put sawdust under bezel set stones to make the stone look thicker, but in the case of rings, where the ring gets wet each time your hands are in water, the saw dust swells and contracts, thus eventually stretching the bezel wire and the stone may eventually fall out. For that reason, when I need to raise a stone, I use an old cut up credit card. The flat plastic ties used by some bakeries on their loaves of bread work, too. It will not swell nor shrink. This should take up the entire bottom of the area of the cab, otherwise the cab may rock back and forth. Here, Wubbers U instructor Cindy Lopez creatively filed away some of the bezel to highlight the druzy formation in her cabochon. Learn how she made this piece here. After years of buying commercial wire by the yard, I now make all my own bezel wire. 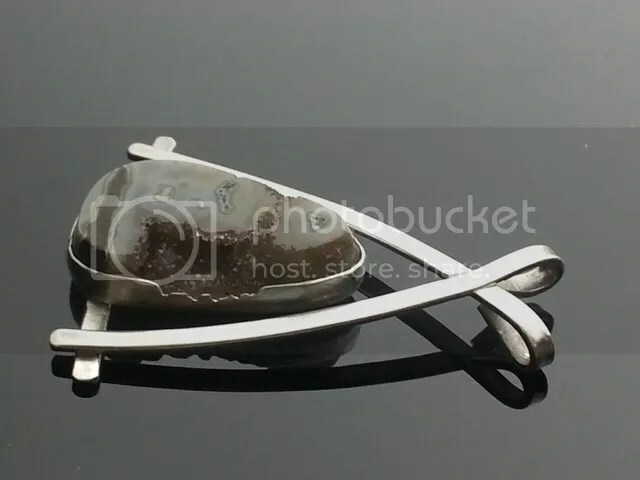 I purchase a sheet of 6×12 22 gauge fine silver, cut what I want for my bezel on a shear (don’t try to do it by sawing…if you saw like I do) and roll it through a rolling mill to the right thickness. Sometimes I want a really thick bezel, sometimes I want a thin 28 gauge. But with the oddly cut stones I am currently using, it is easier, and cheaper, to do this than use commercial bezel wire. It does require you have access to some rather expensive equipment, though. Also, if you have read my articles in Lapidary Journal Jewelry Artist, I use a lot of flat wire for bezels, which is always sterling. It is way too thick (2mm) to be pushed over a stone, so it can be sterling. The stone is then glued in. Unless you use a prong set, there is no other way. 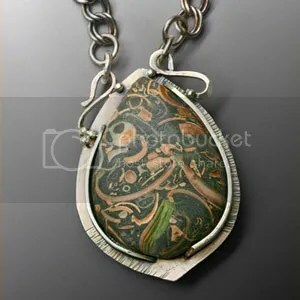 An example of one of my thick-walled sterling bezel pieces. The bezel walls are too thick to push over the stone, so the stone is glued in place instead. If the bezel wire is too short, it will not adequately hold the stone. While it is easy to see if a bezel is too short, it’s not always easy to see if the bezel is too tall. When choosing bezel wire, it should not be as tall as the stone, so it should be about half, or even a hair (a technical jewelry term!) less than the thickness of the stone. I don’t know of any hard and fast rule, but that seems to work. If you are doing a really high cab, like a tongue or a bullet, or an exceptionally tall stone, you will have a hard time getting to stone to set without some rocking. The diameter of the bottom of the cab to the area where top of the bezel fits around the stone is too great. I put a drop of glue (I like 330 2-part epoxy) under a really tall stone to keep it from rocking. I will also put a drop of glue under either very large stones, (some I have are up to 3+ inches long) which can be a problem for several reasons, or under a very expensive stone. You never know how the customer will treat your jewelry, so I try to cover as many bases as I can before I sell a piece. I know the rule is “Jewelers NEVER use glue” but some of the finest jewelers I know have used glue. We don’t know where that rule came from. Now, you don’t want to just glue a stone onto a piece of silver without a bezel around it, so maybe that was the beginning of the rule. Do you have a jewelry-making question you would like our experts to answer? Email us at info@wubbersu.com and your question could be featured. Lexi Erickson, President of Wubbers University, is an internationally-known artist and teacher based in Denver, CO. This has been an unbelievable help and just so quickly answered my questions on What metal to use for my bezels. Well done, thank you!!! Extremely helpful… you said the bezel wire should be half the height of the stone? (or a hair less than half) ?? I just want to make sure I understood that correctly. What if your stone not totally flat on the back?? Thank you for this post. I particularly liked the design example given using the thick walled bezels. A beautiful piece and tips to achieve the look. With regards to using a smudge of glue, too true to consider the user’s experience in handling our art. 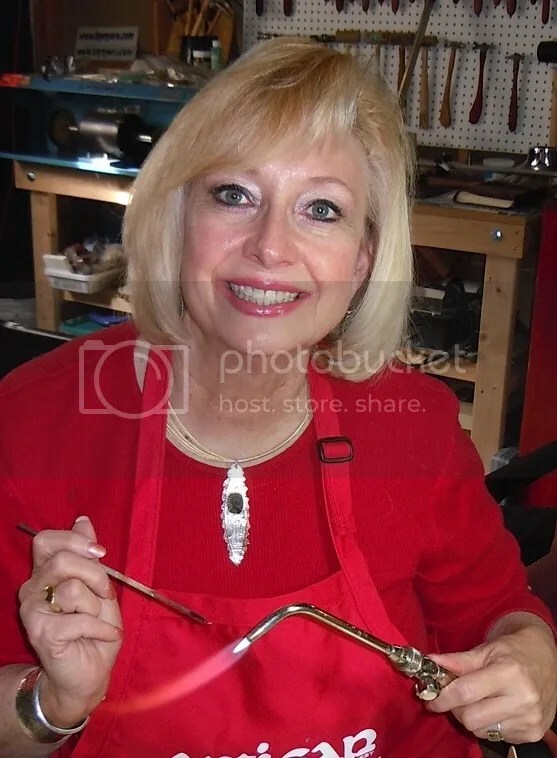 As a Metalsmith I believe we should not skip out on being proficient in our skills, after that, being responsible to our customers experience will dictate. A drop of hidden epoxy will go a long way in customer satisfaction. What is the best way to bezel set smaller cabochons (4-6mm)? I’ve seen tutorials for tube setting stones, but they are all referring to faceted stones. Can I use tube to make smaller sized bezels for rounded (domed) cabochons with flat bottoms? Or is it best just to attempt to make tiny bezels out of bezel wire? Thanks! Thank you! – SO many aspects covered very, very well! Huge help for us beginners! I bookmarked this page and will refer to wubbers for any other questions – thank you again!